My wife, Telma Costa, had the opportunity to work on two video’s for Chad Michael Stewart. The first one was ‘Hollow‘, it turned out amazing. I sat there countless nights with her watching clip after clip, throwing ideas back and forth. 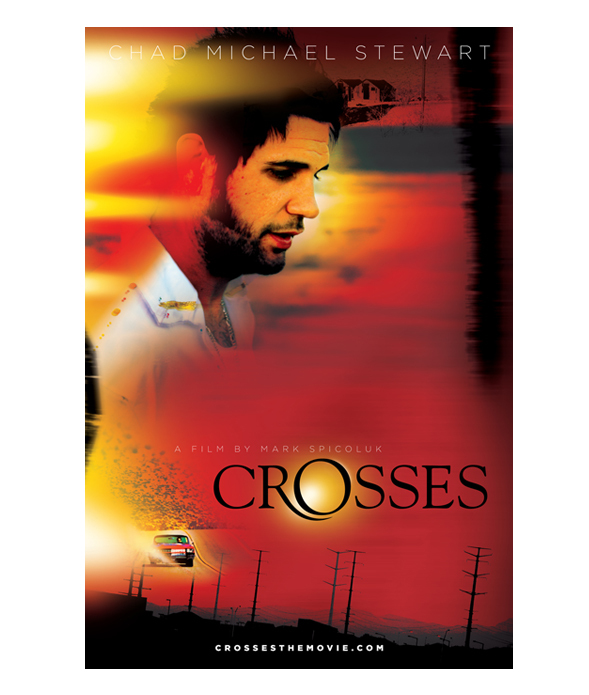 The second, is a song called ‘Crosses’. The video is still currently in the works, but the trailer was shown in Cineplex’s across Ontario. How cool is that? While Telma was working on the video, I wanted to get my hands dirty as well so I created a promo poster for the video. Which lead to an animation bit in the trailer. I have to say it’s great working with my wife on different projects. I think we compliment each other very well. The image of Chad may change over the course of time, if it does I’ll post the new version.